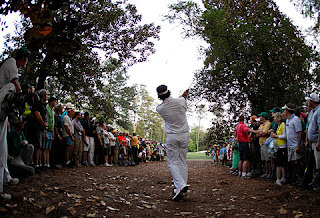 An Opinion On Sports: Bubba Watson: Can You Come Out and Play? Bubba Watson: Can You Come Out and Play? If you thought Bubba Watson's shot at Augusta National's 10th green to win the Master's was a magic act, how about the disappearing act he has pulled off since he last rode off into the Georgia darkness wearing that green jacket. He hasn't been seen on the PGA tour in six weeks, missing a huge event known as The Players in the process. I realize Bubba and his wife have a new son in their lives now, but it's past time for Bubba to reappear with those magic sticks. He needs the Tour, and the Tour needs him. Heed the call Mr. Watson. You need a tee time. Soon.